25 May 2007: In a new book, prominent journalism professor and columnist Andrew Cohen slams Canada’s capital city, Ottawa, as a boring, unimaginative place content with mediocrity and bad restaurants, drowning in urban sprawl, whose downtown is choking in truck exhaust and with so-called grand avenues that have become seedy places for drifters and tattoo shops. Some of what Andrew Cohen says about Ottawa is true. This city deserves its share of criticism and a lot of his is deserved. But at the same time the tone of his commentary betrays something much deeper, and Cohen himself acknowledges this. 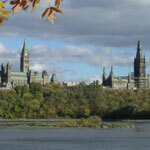 The nation of which we are the capital has never gotten over its resentment at Ottawa being chosen top city. And when something is seen through ill-disposed lens it just flows naturally that your entire analysis will focus on the negatives. Most of what Cohen says can be said of any city. These days, however, it seems impossible to have any credibility across Canada if you are nerd enough to “love” Ottawa. But you can score easy points by tearing it to shreds. And while this may have been true 50 years ago for Ottawa alone, I would say the disease has spread right across the land. Toronto can't get any love outside its Greater area, and yet it is the metropolis. Can you imagine the Americans not being proud of New York? Can you imagine the Dutch not being proud of Amsterdam? The same goes for the other major cities. Montreal is pretty much forgotten in much of English Canada as "that fun place where we used to make money before they all went French". Yet it is the second city and a major hub of culture and innovation, the closest we have to a European metropolis. How many Canadians celebrated the fact that Montreal was chosen one of UNESCO’s Cities of Design? Vancouver doesn't even bother caring about anyone else, it got big enough in time to just do its own thing and they've got the Chinese connection going on. Calgary and Edmonton are the next pretenders to metropolitan crowns of their own, although they still waste lots of energy despising each other. And Canadians living outside our big cities resent them for a variety of petty reasons. Ottawa’s too dull. Toronto monopolizes too much. Montreal’s too French. Vancouver’s too expensive. Calgary’s too redneck. Halifax is too small. We have become a country of regions indifferent to each other. Each region has its own regional metropolis with its hip Starbucks-filled boutique neighbourhoods and its “distinctive urban flavour”, since that is the mark of coolness these days. And each is profoundly alone, insecure, resentful that they are in fact so small because it always seems the other metropolis next door is shining brighter at something in which ours is not shining. The very fact that Toronto, Canada’s metropolis, is a city in such need of constant triumphs betrays the fact that it is, really, only Ontario’s metropolis. The rest of Canada has a grudging need to have certain things, mostly financial, “go through Toronto”, but as the 21st Century progresses this may become less and less the case. Quebeckers have been the first to see this and to seek upper-tier metropolitan services as much in New York as in Toronto. Toronto is better acknowledged at a global scale than in its own country. For such a small country in the global scale, we are in a sad state. We are only 32 million and we still manage to immobilize ourselves over small things. Maybe our bounties are so plentiful that we just don’t know what to do with ourselves. For a country our size, with as many assets as we have, both in natural and urban resources, we are not even close to smart enough to know how to leverage what we have and take our place in the sun. The stubborn, infantile tone in Cohen’s attack on Ottawa is nothing but a symptom of our entire national malaise. If Canada were really a united country, happy about itself, we would love Toronto for being The Big City, the place where the most experimentation can take place. We would love Montreal for the fun and trend-setting place it is. We would love Vancouver for its adventuresome initiatives in urbanism and its stunning natural setting. We would love Calgary for its wild-west entrepreneurship and its youthful ambition. We would love the fact that for such a small population we now have six cities of at least a million people. That is indeed remarkable and makes Canada stand out in the world. Mostly, we would be smart enough to use each of our big cities for the purposes they can best fulfill, and let them each run with it. And we come to Ottawa. Canada would love Ottawa for... what? And that's the burning question Cohen is really asking me, anyway, as an Ottawan. The fundamental question is the future of the federation. In the past, the federal government was, by necessity, much more present in the life of the nation. As regions gained in population, the real decisions started drifting toward provincial governments. Regionalism in this country today is fuelled by provincial governments. But the provincial desperation to grab power away from the feds only betrays the looming reality that provinces are in fact becoming the most irrelevant level of government in Canada. Do we need ten health care systems for a population the size of California’s? Do we need ten education systems? What do the provinces really do that is so essential? We certainly know they collect taxes and micro-manage things like cities that need the freedom to compete instead of nannies. City governments are the next place of nimble sophistication in Canada as around the world. When this is finally recognized, then the federal government can organically reclaim a more useful role in the areas and for the services where it makes sense to have a critical mass. Ottawa has a simple job to do. We have to think of ourselves as a big city. Forget national politics. We have to treat the feds and all other private and public actors in our city the same way: we like what you bring to the table but you are in our house and these are our rules. You are here to help us build this place, and this is how we want it built. You deal with your taxpayers or with your shareholders. We’ll deal with you and what you do in our city. As a city, we are now big enough to act that way. Through amalgamation we now have one of the largest governments in Canada. We have a sophisticated municipal workforce waiting to be unleashed from paranoia and the fear of change. We have legitimate municipal and metropolitan interests. We have an economy to beef up. We have a cultural life to feed and nurture. We have a downtown to liven up. We have an architectural culture to improve. We have transportation problems to fix. We have a few Stanley Cups to win! Our role as the capital is something that will only have meaning when that meaning is bestowed upon us by the rest of Canada, when it feels ready to do so. In the meantime, we should just sit down amongst ourselves and decide what we want to do for ourselves. The things we build for ourselves are the things that will be felt by outsiders when they pay a visit. That, as an Ottawan, is what I most want to be proud of. This is indeed a fascinating time in the life of our city. 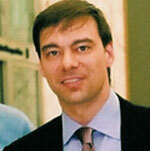 *Alain Miguelez is an urban planner and market analyst with 12 years' experience in the private and public sectors. From 1999 to 2002 he served as senior market analyst for Ottawa for the Canada Mortgage and Housing Corp. Presently he is senior planner, with responsibility for research and forecasting, with the City of Ottawa's planning and growth management department. The Conference Board of Canada study released in mid-2006 ‘Canada's Hub Cities’ is an interesting exercise designed to say that the country's hub cities should get extra help to support their economies and build up their infrastructure. A worthy message, for sure. Unfortunately, the Conference Board falls victim to Canadian politics, something startling for an organization of its stature. A big part of the study's shortcoming is its puzzling reliance on provincial boundaries to identify nine hub cities. The Conference Board tests whether the rest of a province's economy is converging toward the GDP growth rate of its ‘hub city’.